Here are seven common pitfalls to avoid! If you are an analyst, or an analytics leader in your organization, a large part of your role likely consists of establishing the metrics, targets, and overall performance measurement strategy for your organization. The basic practice is pretty straightforward: come up with a few (or a bunch of) KPIs, calculate the actuals, hopefully compare them to something, come to a conclusion, and if you’re lucky, take action. 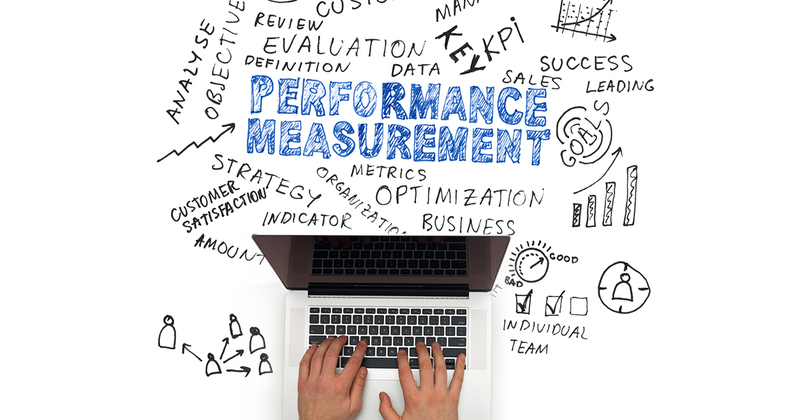 So why does performance measurement become such a complicated topic for many organizations? How do metric sets and benchmarks get so lost in translation? Why are certain outcomes a not-so-pleasant surprise? Oftentimes, it’s because — frankly — businesses are measuring their performance incorrectly. I’m not talking about the particular metrics you choose. Marketing inquiries, net new opportunities, churn, planned vs. forecasted pipeline, year-over-year revenue growth, attrition, and all the industry standards need not be abandoned. I’m not suggesting you reinvent any wheels. Instead, I’m talking about how you measure performance, not whatyou measure. Don’t just look at last quarter and year-over-year. Instead, pair past views with a view that looks at the current quarter or future quarter. Isolate a few leading indicators or build predictive models (even if they are simple excel models) that can help you get ahead of downturns at their onset and avoid underperforming before it happens. This is related to focusing on the past. Sometimes growth doesn’t tell the whole story. If you didn’t grow as much as you did last year, is it really that bad if your budget was also cut in half? Likewise, at some point in the product life cycle, triple digit growth isn’t sustainable as your product and company matures. Also, it is beneficial to keep in mind that not all types of growth are created equal. For example, if you’re growing website traffic entirely through SEM and not organically, then you aren’t getting the most bang for your buck and are potentially failing to generate the highest quality leads further down the funnel. This is a common mistake: setting your internal benchmarks based on last year’s or some previous period’s performance (i.e., defaulting to growth). This approach works best for companies with no competition and 100% market share, which is basically… no one. Ultimately the performance that matters most is how you perform in the marketplace. Do your research. Purchase competitive intelligence. Bring in objective third-party agencies. There are many ways to figure out not only if are you better than you were, but also if you are the best in your field and if not, how far away you really are. This is where I provide a balance to #3 above. Yes, look outward: read blogs like this one (shameless plug, I know) to understand best practices and get ideas, but do so cautiously. You have to remember that not every metric will work for every company. Profit margin isn’t as critical for a growing company. Customer Lifetime Value won’t do you much good if you can’t figure out who your customers are first. Do you have the executive level buy-in necessary to hold X business unit accountable for Y target? Make sure that the metrics you choose are the right fit for your company’s data, processes, and culture. There is no one measure to rule them all. Performance measurement becomes useless when the performance can be artificially achieved, and dare I say, manipulated. To avoid this, diversify your metrics, don’t focus on just one. For example, if ROI is your only metric, a $50 deal could have the same ROI as a $500,000 deal, but surely one is more valuable than the other. Having a set of metrics helps tell the whole story rather than focusing on a singular one, and protects against gaming the system. Not to be that guy who links to previous blog posts they’ve written, but right now, I’m that guy for the purposes of this pitfall. Read this post about what happens when you don’t make your metrics digestible and actionable for daily use. Performance measurement cannot be an afterthought for decision makers or a report card that they dread getting every three months. Turn those quarterly numbers into something that leadership can use daily or weekly so that there are no surprises by the end of the period. This might be the most important one. Once you’ve done all of the above, do it all over again every so often. Sticking to the same metrics for too long without refining the definition based on learnings, or keeping up with the most current analytics innovations within your space can quickly lead to your data-driven company becoming unknowingly obsolete. Measurement has to be relevant to be useful. Retiring an old metric or introducing a new one can also have the added benefit of disrupting business-as-usual and lessening the risk of data desensitization. Finally, a bonus tip. Words to live by: performance measurement is not about quantity only, but also quality. At a minimum, be sure that you’re measuring growth of the right metric. These are some of the best practices we employ in our performance measurement strategy at Qlik. Want to learn about others? There’s an app for that! Just kidding, but there is a solution. Sign up for Qlik Insights, our quarterly newsletter that delivers industry news, product releases, tips and tricks, local events, and much more, straight to your inbox. Subscribe now and see why staying up-to-date has never been so easy.